Join us Monday August 13th from 5PM to 11PM as we pray to the tiki gods by offering traditional Polynesia foods and tiki cocktails for your dining pleasure! 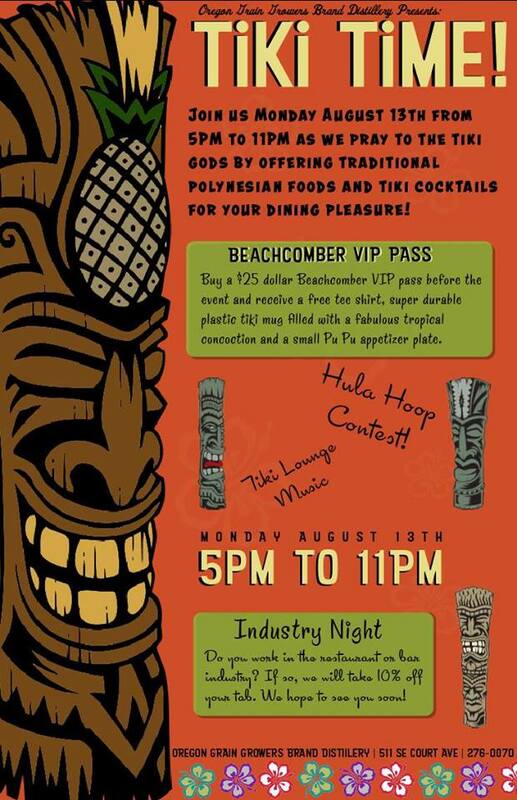 You can buy a $25 dollar Beachcomber VIP pass before the event and receive a free tee shirt, super durable plastic tiki mug filled with a fabulous tropical concoction and a small Pu Pu appetizer plate. Do you work in the restaurant or bar industry? If so, we will take 10% off your tab. We hope to see you soon! We will be releasing a cocktail and food menu first part of August.